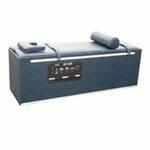 INTERSEGMENTAL TRACTION "THE ROLLER TABLE"
Intersegmental traction is an effective therapy that induces passive motion into the spine for the purpose of stretching spinal joints and increasing mobility. 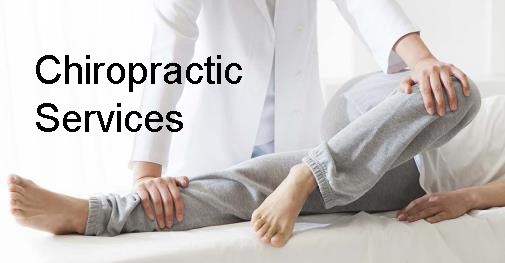 It is a therapy option before you receive your adjustment. Click the image to learn more and to watch the video presentation. The smooth wave massage travels up and down the body with wave-like streams of heated water. The massage area is completely programable, so as to focus on the entire or specific area of the body. Click image to learn more and to watch the video presentation. Decompression is a non-surgical traction based treatment systerm. The Kennedy Table performs lumbar and cervical decompression. It is used to treat herniated or bulging discs. Click the image to learn more and to watch the video presentation. Diathermy is a therapeutic treatment most commonly presribed for muscle and joint conditions. It uses a high-frequency electrive current to stimulate heat generation within body tissues. We offer adjustments not only for adult patients, but also for children. Click the image to learn more and to watch the video presentation of an adult and child being adjusted. We are able to provide full general physical examinations for work or school. As a licensed Nurse Practitioner we have become the primary care provider (PCP) for some patients.